So much to do, so little time... Juggling locations and venues, transport and room categories, themes and tech, MICE planners have a lot on their plate, especially when it comes to overseas events. 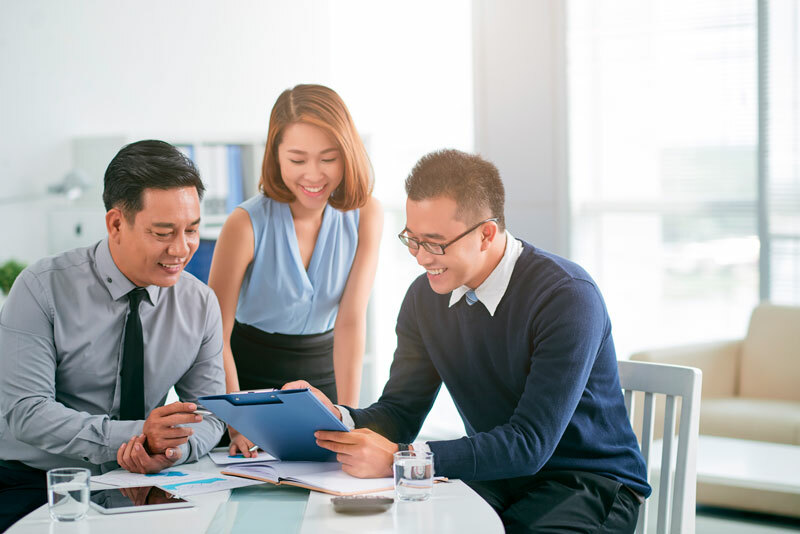 This makes Macau's professional, highly experienced, multi-lingual and creative in-hotel organisers indispensable when it comes to navigating the process. The upshot? Their behind-the-scenes assistance and expertise result in flawless events and help you look like a star planner! A jewel in the South China Sea, Macao's strategic location makes it an easy choice for business. The Hong Kong-Macao-Zhuhai bridge will soon link the most exciting nearby locations, the new Cotai Ferry Terminal is freshly opened and the international airport is just ten minutes' drive from the Cotai Strip. Visa-free for over 70 nationalities, Macao's Portuguese Chinese heritage balances Cotai's cutting-edge culture, making it a fascinating historic, foodie and shopping destination. And at the heart of the Cotai Strip, welcome to Sheraton Grand Macao Hotel. Fancy a tour on arrival? Entertaining staff are full of fun facts, such as, did you know that the hotel has no less than 4,001 rooms? They might say you have to see to believe the views from one of the 361 oversized suites, ideal for your VIPs. They could lead you on a mouthwatering journey through numerous F&B outlets. Perhaps they'll walk and talk you through the sophistication of our 152,000 square feet of meeting space. And of course you can also join the tour online using Virtual Reality. Welcome to the future! Multi-day events often call for gatherings that can vary from immense conventions and imaginative gala dinners to more intimate VIP cocktails or impromptu board meetings. 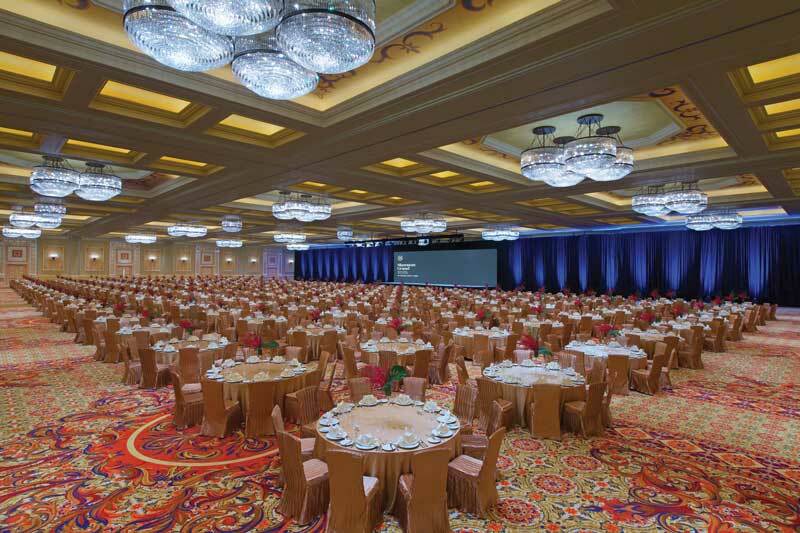 At Sheraton Grand Macao Hotel, experienced Event Concierges are sure to exceed your highest expectations and are as flexible as the 200,000 square feet of space, divisible into 113 meeting rooms. They can help you organize a 5,000-delegate evening event in the over 50,000-squarefoot pillarless Kashgar Ballroom, or one of the six junior ballrooms. They can gather your most valued suppliers for private cocktails among the cabanas on one of the three pool decks. And with seamless walkways to and from The St. Regis Macao and Sands Cotai Central, there is easy access to so much more. Event Concierges help create life-long memories with their inventive and innovative event concepts. Themes add pizzazz, injecting instant visual excitement lifting team morale, guaranteeing team bonding and producing stunning photography. Are you looking for a one-off celebration, social event or team building theme, or to tie a few days of events together via a consistent and inspirational concept? 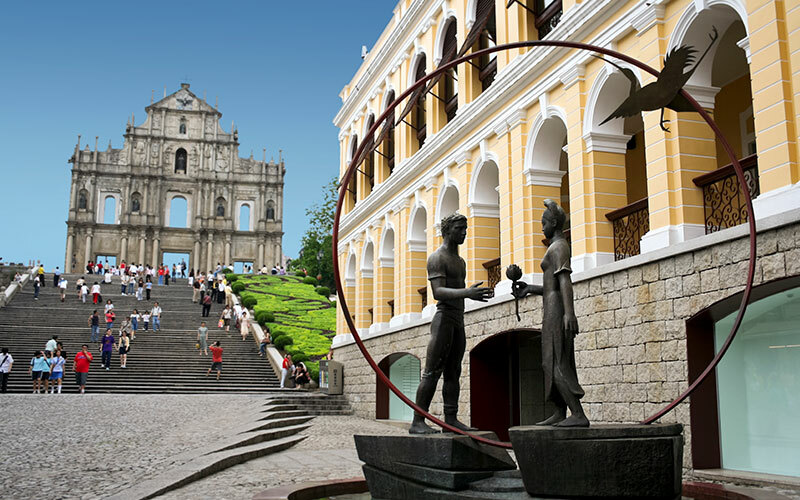 At the Sheraton Grand Macao Hotel, Event Concierges can talk you through the Macau Fiesta Theme for the best of Macau's heritage and street culture right into the hotel, ideal when off-site exploring time is tight. Alternatively, they may recommend the Silver Light Theme when everyone glitters as bright as the Cotai Strip skyline. Or they can work with you on an original idea. And naturally customized food stations and decoration, local entertainment and endless photo opps are included. At every turn, every member of staff is on hand to help you with any request, no matter how big or small. 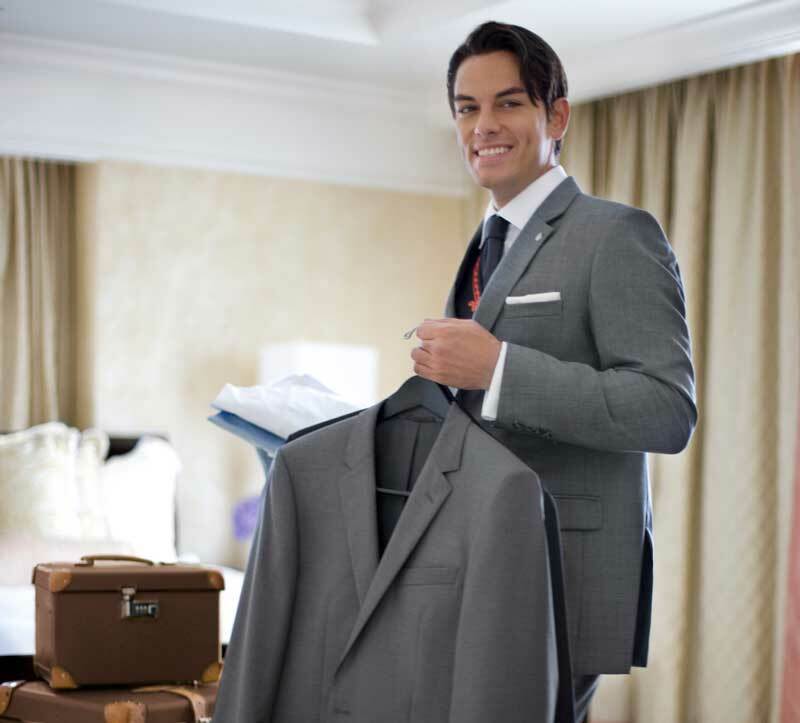 However, at The St. Regis Macao, the Butler Service delivers personalized service that goes far beyond. You'll love them for saving you time, eliminating stress and freeing you up to focus on your events. Need a wake-up coffee and newspaper so you hit the morning meeting full of beans and the latest news? Need your suit or dress to be perfectly pressed, ready to impress at the gala dinner? Need your case unpacked as you rush from check-in straight to meetings, or packed and delivered to meet you at the airport when you leave? No problem. For every guest staying at The St. Regis Macao, your butler will be at your beck and call, 24/7. To get your colleagues connecting and pulling together as a team you need quality fun time, and enthusiastic staff will be able to turn your delegates into groups that pull together. 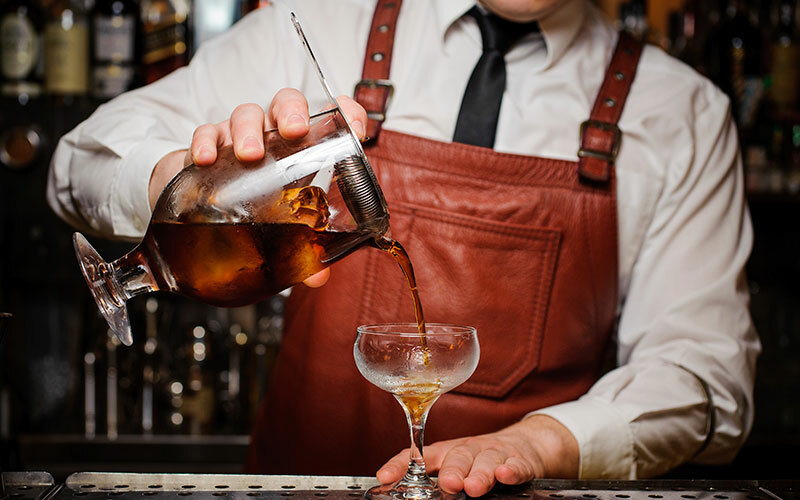 Try a hands-on Masterchef or mixologist workshop. Alternatively follow talented dancers for Physical Aerobic Dance workshops, working up energy levels alfresco or inside. And off-site, you could explore another side of Macao on a hiking adventure. At Sheraton Grand Macao Hotel and The St. Regis Macao, professional MICE teams have curated the 'Meetings Beyond Imagination' offer. Look forward to all sorts of perks and benefits - the bigger your group the greater the benefits. In addition, with SPG Pro Benefits, not only is it even easier to book, managing everything from a single account, but you'll earn Starpoints for every meeting or event you plan, SPG Nights Benefits, upgrades and complimentary perks. And the best? You'll earn credit to go towards that enviable elite status. Book now until June 30, 2018 for stays until December 20, 2019 and you'll open up a world of benefits and advantages. For all planners, discounts include a generous 5% off your master bill or 50% off your group's Cotai Water Jet ferry tickets, among other options. The more rooms booked, the more the special offers and entertainment or leisure activity promotions add up. 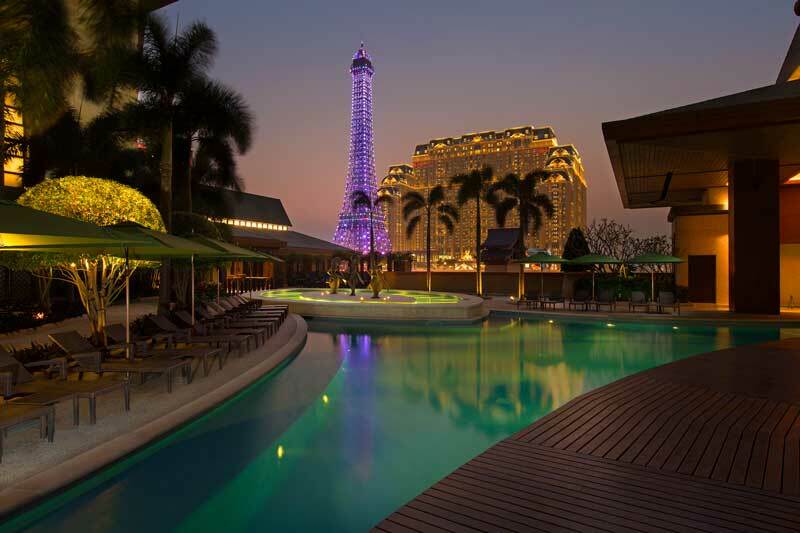 For example, discounted incentive experiences such as a trip up the Eiffel Tower at The Parisian, a Gondola Ride through the Grand Canal or tickets to the spectacular Monkey King Show, help make delegates' time in Macao absolutely unforgettable. Click here for more information, chat to the sales team on +853 8113 0700 or sales.macao@starwoodhotels.com.